After a lengthy battle with cancer, Cathryn Ann "Cathy" Lane passed away at the Moncton Hospital on Thursday, February 7, 2019. Born in Cape Tormentine, NB, Cathy was a daughter of the late Frederick and Teressa (Olsen) Lane. Cathy had worked for 9.5 years with Zellers in Moncton, then continued on to work with CIBC for 27 years. She loved to bowl and was very active in the CIBC Run for the Cure. She will be dearly missed by brothers Kenneth (Darlene) Bayfield, Brian (Carol) of Hamilton, ON. ; sisters Brenda Wall (Hank Wolver), Cape Tormentine, Susan Doucette of Moncton, and Karen (Ray) Calder of Beamsville, ON; several nieces and nephews and great nieces and great nephews, and Noah, Xavier, and Emme Cormier who were like her grandchildren, as well as her best friends Maria Cormier, Moncton and Sandra Roper, Shediac, and Bertha and Brenda Jones, Moncton. Besides her parents, she was predeceased by a brother Ronald Lane, and a sister Wanda Lane. Arrangements are under the care and guidance of Jones Funeral Home, 70 Bridge Street, Sackville, NB (506-364-1300). Honouring Cathy's wishes there is to be no visitation or funeral service at this time. A graveside service will be held in the Bayfield Cemetery in the summer. 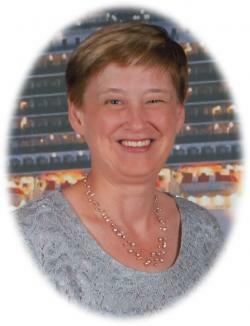 Donations in memory of Cathy may be made to the Canadian Cancer Society. Sharing of memories and condolences may be sent to the family by visiting Cathy's online memorial at www.jonesfuneralhome.ca or through the Jones Funeral Home Facebook Page.